I am like a crow. If it shines, I like it. If it is pretty, I like it. If I can eat it, even better. I live in Cape Town, South Africa-the most beautiful city in my world, no contest! By day an attorney and a good food stalker by night. Views expressed in this blog are all my own.Thanks for reading. Way to go sister!!! LOVE IT!!! Love it! Love it!! You have started an interesting, beautiful and delicious blog! 😀 Fae. Thank you so much. Still finding my feet though but loving it. Thank you for the compliment! I will go read all about it. Enjoy the Awards! 😀 Fae. Thank you Fae! You are to kind. Still very inexperienced here but loving it! What a perfect name for a blog!! LOVE it! Thank you so much! 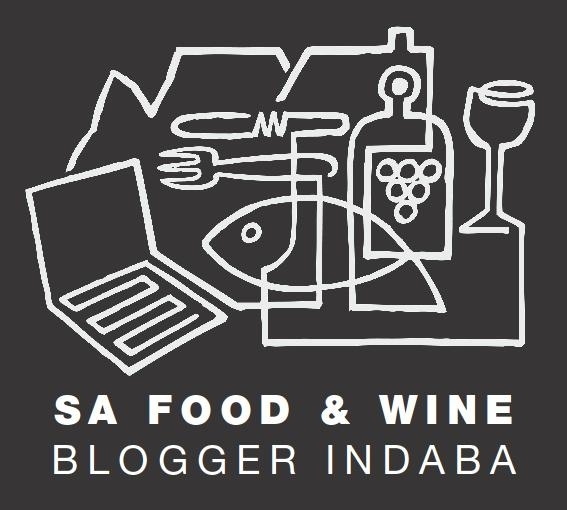 I really did not know what to call it and shouted out to the family:”what do I call this flippen blog?” And the name just stuck. Thanks for the follow! Yep, cold but beautiful and lots of comfort food. Thank you so much for the nomination! Much appreciated. When a blogger takes strangers across the planet into his/her kitchen shows them around and shares his/her experiences you know you are going to enjoy reading. http://ineedafeed.wordpress.com/2013/08/17/awards-august-2013-part-3/ led me here, looking forward to future posts. Such a nice comment. Thank you! So I “bounced” over to check flippenblog out and I LOVE it. The combination of day job and post hours/food made me grin like I’d eaten the damn canary. Flipping birds! Love your style girl! Haha! Thanks, You got me. Flower child at heart! Thank you so much! Yes, Cape Town keeps me sane(or at least my kind of sane). You shall have to tell that story soon. I love the way you “talk” on your blog, easy to read. Visit soon! I like your flippen blog 😉 Welcome to blogosphere world! Sigh, Cape Town! You lucky, lucky lady. Thanks for following. I’m following you too. Indeed I am lucky and feel it everyday believe you me. I travel a lot for work in SA and can never wait to get home! Looking forward to your posts. Hi there! I’m so glad you found me; it’s led me to find you! What a lovely blog you have. I look forward to getting very familiar. xoxo, Angie. Thanks Angie! Love your blog, the whole lay out and content of course the colors. I love the content of your blog. I especially love the pear tart. 🙂 Looks so good. Thanks so much for the follow by the way. I appreciate your interest as well as liking my post, “Drop Biscuit” 🙂 You have a great day! Thank you and only a pleasure! Thanks so much for recently stopping by my blog. It is very nice to meet you. I look forward to seeing more of your posts! Only a pleasure and likewise! We look forward to your future posts! Thank you for both awards! Can’t wait to visit the other blogs, always exciting. Love it thanks! Enjoy your too! Hi – just found your blog (after you checked out mine – thanks) and really like what you’re doing. Thank you, much appreciated! All the best for the New Year. hello there – hilarious about page – the flippenblog 🙂 – I was thinking – Filip and Bens blog? Filippas blog but no a flippin’ blog! Thanks for visiting my blog, thx for the follow – and a happy new year to you! Thank you kindly.My love for Cape Town equals the food passion! I hope you love every minute! I’ve already paid and booked a couple of tours up Table Mountain and around the city and another out to Cape Point. I must also take time to recover from a 15 hour flight. I have three days. Hi! I really like your blog. I use the same theme and I am wondering how you get the information that shows who ‘Liked’ your post at the bottom of each post…. Is it a widget? Yes it is. Travelling at the moment otherwise I would have sent a more comprehensive reply. Will let you know when I can. Thanks so much! I am new to this and have searched through the widgets but I just can’t find it. I’ll look forward to your reply. Safe travels!! I’m back. Go to Settings and then to Sharing. All your choices are there. Also the “like” button. Hope you find it. Trust me it is a batthe for as all to figure everything out. Let me know. What a great flippen blog! Don’t worry about the photography it is perfect and suits your style and all of it simply with a phone, impressive! Thank you! I hope you are having a wonderful stay in SA. Let me know how it was for you. Glad to hear you love it, it warms my heart. As we speak I am in Franschhoek for the weekend. Obviously can not wait for dinner tonight in this chef’s town. Fish Hoek is a beauty, you must miss it dearly. And the shallow part is that it is all true! Little vices…. Thank you very much and I love your pretty blog. Lovely banner too. My goodness thank you! It is raining awards! Thank you. What a nice compliment! Thank you so much for the kind words and your nomination is appreciated. I love reading yours too! Ah thank you for the nice treat! Cape Town is my favorite city too! Glad you visited and followed my blog, I will love to follow yours as well! Jy is welkom! Ek geniet wat ek lees daar aan jou kant. Nou die eisbeins.. This is so sweet of you thank you very much. It is always nice to thought of in one way or another. Love your pretty blog. Hi Ahila. What a nice thought! Thank you very much. I am currently travelling for work and will eventually catch up on the blog. Hopefully soon. Oh Flippenblog – you are in Turkey, I love Turkey, if you are in Istanbul I have a wonderful restaurant turkish work colleagues took me to, can dig it out if you want. Now in Fethiye and later Istanbul. One of my favourite places. Heehah holiday! So enjoyable to read your blog, thanks for shating ! Only a pleasure and thanks for the nice compliment! Ag ek was nou terug in Turkye in n oogwink .Elke foto is so uniek en elke resep so vinger lekker. Dankie vir hierdie flippen nice blog ,ek het elke oomblik geniet. Kan nie wag vir die volgende verassing nie. P.S Babylonstoren was ook vir my n ongelooflike ervaring.Ek was so beindruk met alles daar,wens ek kan daar gaan slaap! Your blog is so difficult to navigate. There is no recipe index, no menu, no archives, no recent posts. Could you kindly make it more user friendly? Thanks so much for understanding and have a pleasant week! I am sorry. I finally found them, somehow. Have a great day!